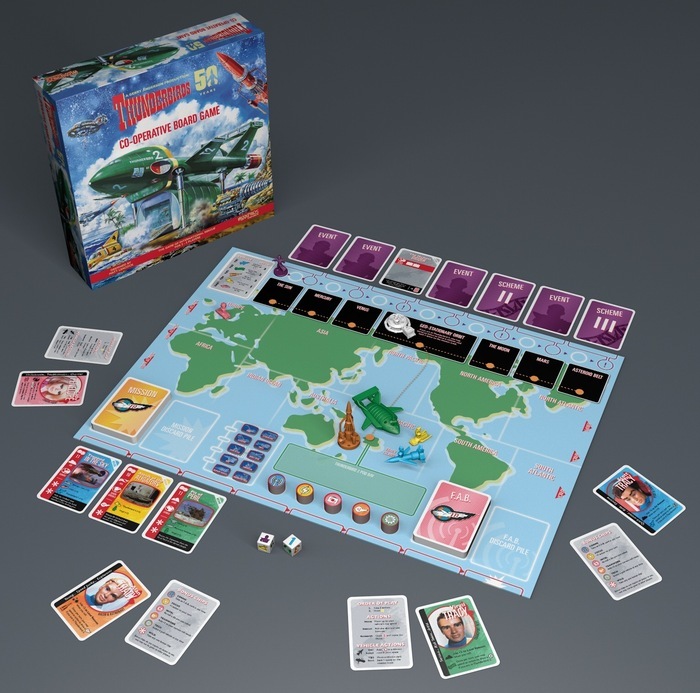 The latest nostalgic trigger overfunding on Kickstarter is the Thunderbirds Co-operative Board Game from Modiphius Entertainment. Designed by Matt Leacock of Pandemic fame, the game has players taking on the roles of the individual Tracy family members, completing various rescue missions around the world, and most importantly, piloting miniatures of the beloved Thunderbirds vehicles. The project is currently working toward a stretch goal that would allow a fifth player to act as the evil Hood. If for no other reason, I would have had to mention Bad Medicine for best integration of a gorilla suit in a project video. Fortunately, though, this party game that bucks the recent trend of simply being crude has more to offer than that. In Bad Medicine players identify maladies, concoct remedies, and argue over side effects. Sounds like a visit with the grandparents. RPE Miniatures’ Phroggs project is for 28mm metal figures of science-fiction amphibians. They’ll be produced in Poison Dart Frog, Fire Bellied Toad, and Bullfrog versions, each with futuristic uniforms and weapons. Another minis project is the one for cast resin terrain by THMiniatures. It features unpainted elements in two groups: fortifications and ruins. I’m a very geeky geek. Besides the obvious focus on games, I have a real fascination with the history of electric utilities (it’s the engineering background, I guess). So Artana’s project for a board game on just that subject hooked me on two fronts. 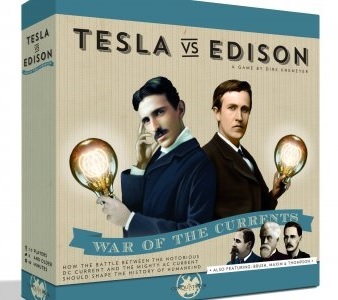 Tesla vs. Edison has the PR antics, stock shenanigans, and business chicanery that was a real part of the industry in its early days. My only beef (without having played the game yet) is Artana’s assumption that all geeks will side with Tesla. You can count me in the Edison camp. Nova Aetas is a tactical combat board game set in Renaissance Italy. Nova Aetas can be played single-player, cooperative, or competitive and includes 50 miniatures, 3D terrain, and a campaign of 30 scenarios. It also promises tough enemies controlled by an aggressive AI and a time-based action management system.